In celebration of Midsummer, join us for flower circles, flower essences, and libations! Midsummer is the time when the sun reaches its apex, marking both the longest day of the year, and the beginning of lengthening nights. Since pagan days, Midsummer was considered to be a time when magic and nature are especially powerful. 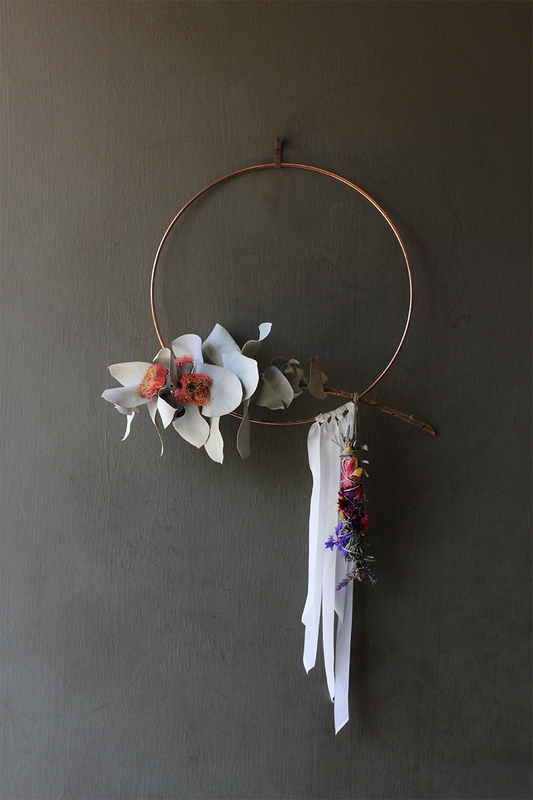 Gathering flowers could be a way to tell a fortune, protect a household, weave a love spell. We will be creating flower circles that may be wreaths for hanging or centerpieces for the table, as well as floral smudge sticks, and fragrant mini bouquets. We will work with seasonal flowers, with a focus on locally sourced blooms, including roses, wildflowers, herbs, greenery, seedpods, and others, both fresh and dried. We will discuss mechanics, as well as working with color and texture. Each participant will choose which pieces to make and will take home everything they create. All flowers, materials, and tools will be supplied. Saewon Oh from Sun Song will be creating custom flower essence formulas and offering mini plant spirit consultations. Flower essences are therapeutic remedies for emotional & energetic healing. Through intentional ceremony, essences are alchemically made with sunlight, water and the vibrational imprint of flowers. This practice honors plant intelligence, our connection to the earth and the sensitivity of our energy fields. Like all living beings, flowers each have their own energetic blueprint which correlates to specific emotional states of being. Ingesting a flower essence can help your own energetic blueprint adjust to the flower's gentle and healing vibrations. Sun Song's flower essences are all made locally in and around the Los Angeles wilderness.